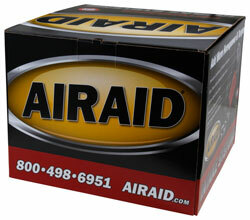 The AIRAID 250-253 fits some Cadillac CTS-V models. See vehicle applications for details. I own a 2012 Cadillac CTS-V and, frankly, thought that the Youtube video and the horsepower claims were a stretch, but bought the system anyway. What a surprise! The differnce was way more than expected, throttle response is noticeably better, and I can hear the whine of the supercharger way better and love it I would highly recommend the Airaid system for anyone- no questions asked.